WASHINGTON (Reuters) – U.S. Attorney General William Barr on Thursday offered a spirited defense of President Donald Trump ahead of the release of Special Counsel Robert Mueller’s report on Russia’s role in the 2016 U.S. election, but revealed that it detailed 10 episodes of potential obstruction of justice by the president. Barr, the top U.S. law enforcement official and a Trump appointee, gave a news conference at the Justice Department as he sought to shape the narrative on a watershed day in Trump’s tumultuous presidency. Barr is one of a handful of people to have seen the report before its release later on Thursday. He emphasized that Mueller did not conclude there was collusion between Trump’s campaign and Moscow. The attorney general previously said Mueller had not exonerated Trump on the question of whether the president had committed the crime of obstruction of justice by trying to impede the Russia inquiry. At the news conference, Barr said the report details “ten episodes” involving Trump and “discusses potential legal theories for connecting these actions to elements of an obstruction offense.” Barr said he concluded Trump had not committed obstruction of justice. 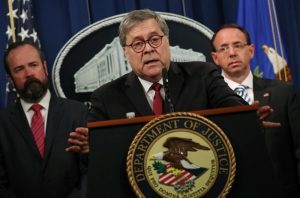 “Apart from whether the acts were obstructive, this evidence of non-corrupt motives weighs heavily against any allegation that the president had a corrupt intent to obstruct the investigation,” Barr said. The prospect of the Democratic-led House of Representatives beginning an impeachment process to remove Trump from office receded with the release of Mueller’s initial findings last month. Some House Democrats had spoken of launching impeachment proceedings against Trump in Congress but top Democrats have been notably cautious. Any such effort would be unlikely to be successful because Trump fellow Republicans controls the Senate, which would decide the president’s fate. The report’s disclosure, with portions expected to be blacked out by Barr to protect some sensitive information, is certain to launch a new political fight in Congress and on the 2020 presidential campaign trail, as Trump seeks re-election in a deeply divided country. “At the same time, there was relentless speculation in the news media about the president’s personal culpability. Yet, as he said from the beginning, there was in fact no collusion,” added Barr. Barr said Trump’s personal lawyers “were given the opportunity to read a final version of the redacted report before it was publicly released,” a revelation certain to infuriate congressional Democrats. “The Russian government sought to interfere in our election process but thanks to the special counsel’s thorough investigation, we now know that the Russian operatives who perpetrated these schemes did not have the cooperation of President Trump or the Trump campaign,” Barr said. The report promises to provide new details about some of the biggest questions in the investigation, including the extent and nature of his campaign’s interactions with Russia and actions Trump may have taken to hinder the inquiry including his 2017 firing of FBI Director James Comey. Mueller submitted the report to Barr on March 22. Two days later, Barr told lawmakers the inquiry did not establish that Trump’s 2016 campaign team engaged in a criminal conspiracy with Russia and that Mueller had not reached a formal conclusion on obstruction of justice. Justice Department regulations give Barr broad authority to decide how much of the report to make public. “That’s the bottom line. After nearly two years of investigations, thousands of subpoenas, hundreds of warrants and witness interviews, the special counsel confirmed that the Russian government-sponsored efforts to illegally interfere in the 2016 presidential election but did not find that the Trump campaign or other Americans colluded in those efforts,” Barr said. Wall Street took Barr’s comments in stride, with the S&amp;P 500 holding slight gains during the news conference then slipping into negative territory after it ended. Democrats were furious that Barr held a news conference on the report before it was provided to Congress. Copies of the report will be delivered to Congress between 11 a.m. and noon (1500-1600 GMT), a senior Justice Department official said. 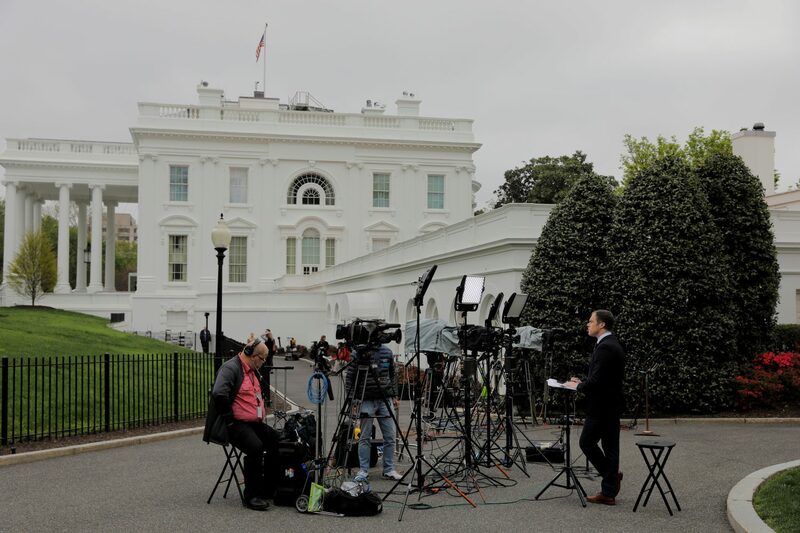 The delay in seeing the report sparked Democratic complaints that Barr wanted to shape the public’s views during his news conference before others had a chance to draw their own conclusions. Barr said “significant portions” of the report could have been kept secret because of a legal doctrine called executive privilege that lets the president withhold information about executive branch deliberations from other branches of government, but were not redacted. UNITED NATIONS (Reuters) – The U.N. Security Council is considering a British-drafted resolution that would demand a ceasefire in Libya and call on all countries with influence over the warring parties to ensure compliance. 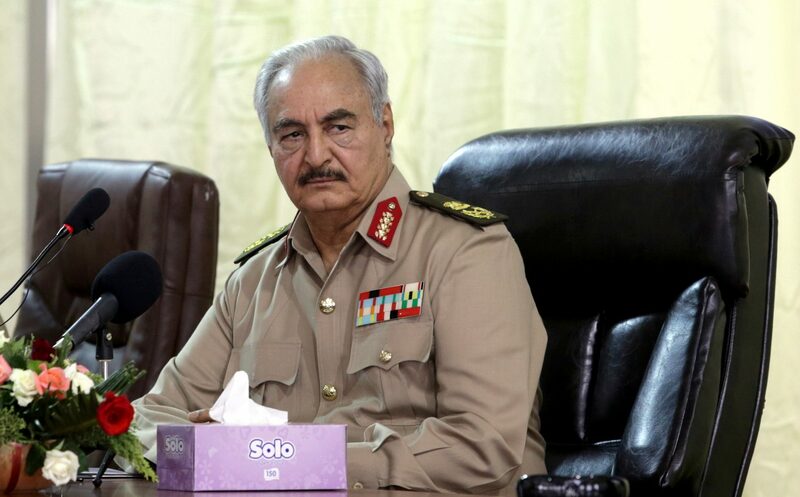 The latest flare-up began almost two weeks ago – during a visit to the country by U.N. Secretary-General Antonio Guterres – when eastern Libyan commander Khalifa Haftar’s Libyan National Army (LNA) advanced to the outskirts of the capital Tripoli. 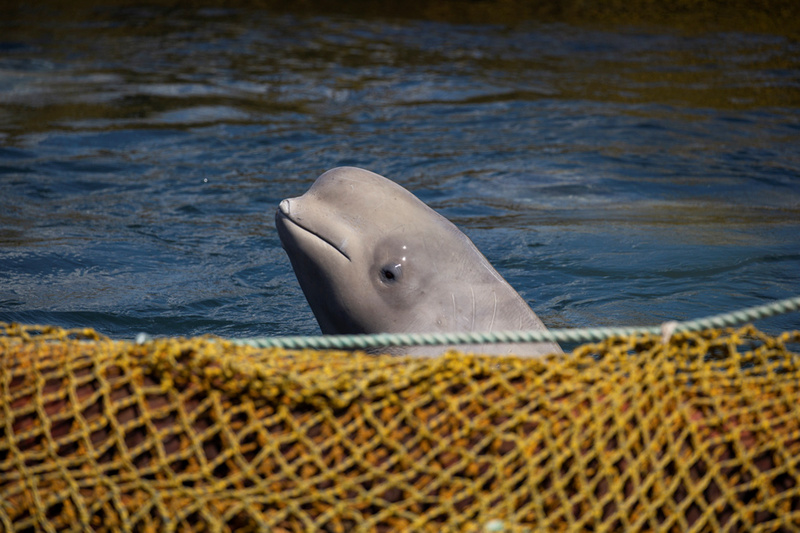 Diplomats said the draft text could be put to a vote as early as this week. A resolution needs nine votes in favor and no vetoes by the United States, Britain, France, Russia or China to pass. 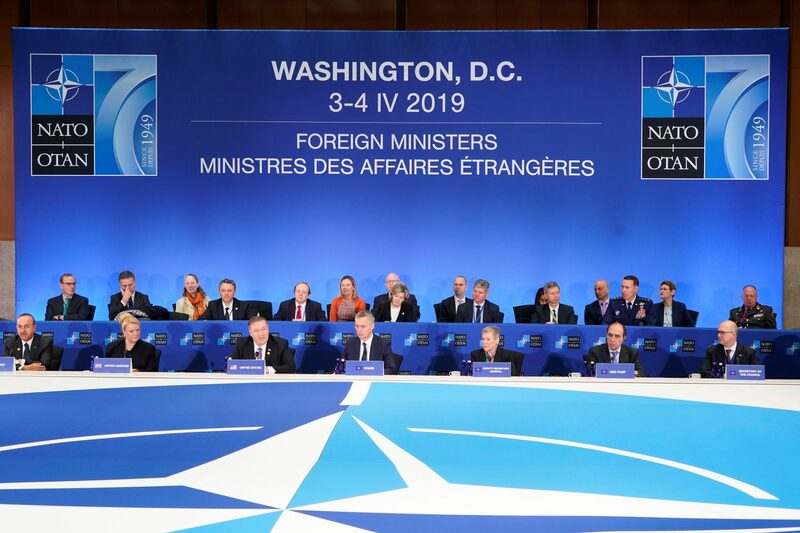 WASHINGTON (Reuters) – U.S. Secretary of State Mike Pompeo on Thursday called on NATO allies to adapt to confront a wide variety of emerging threats, including Russia’s increased aggression, Chinese strategic competition and uncontrolled migration. Pompeo made the call at the start of a meeting of North Atlantic Treaty Organization foreign ministers in Washington marking the 70th anniversary of the transatlantic military alliance. In a 2018 strategy document, the U.S. military put countering China and Russia at the heart of a new national defense strategy. In his remarks, Pompeo said NATO should also confront increased cyber warfare, including from China. Washington has warned it will not partner with countries that adopt China’s Huawei Technologies systems but has been at odds on the issue with the European Union, which has shunned U.S. calls to ban the company across the bloc. The bulk of NATO members are EU countries. Huawei is under scrutiny from Western intelligence agencies for its perceived ties to China’s government and the possibility its equipment could be used for espionage. Huawei has repeatedly denied engaging in intelligence work for any government. The United States has also been at odds with European countries over the failure of many of them to meet NATO defense spending guidelines of 2% of GDP. Stoltenberg told reporters that NATO allies should commit to increased defense spending to improve burden-sharing in NATO. “All NATO allies made a pledge to invest more in defense to improve burden sharing in our alliance, and I expect all allies, including Germany, of course, to make good on the pledge we made together,” the NATO secretary general said. U.S. President Donald Trump has called on NATO countries to pay even more than 2% of their gross domestic product for defense. He told NATO leaders last year to increase defense spending to 4% of GDP. He said the United States pays 4.3% of its GDP to NATO. Trump has singled out Germany for not doing enough. “We didn’t make this pledge to please the United States. We made it because we live in a more unpredictable and uncertain world,” Stoltenberg said. The NATO chief said disagreement between NATO members Turkey and the United States over Turkey’s plan to buy S-400 missile defense systems from Russia was not part of the formal agenda of the Washington meeting but would be discussed on the margins. The United States has halted delivery of equipment related to its advanced F-35 fighter jets to Turkey over its S-400 plans. 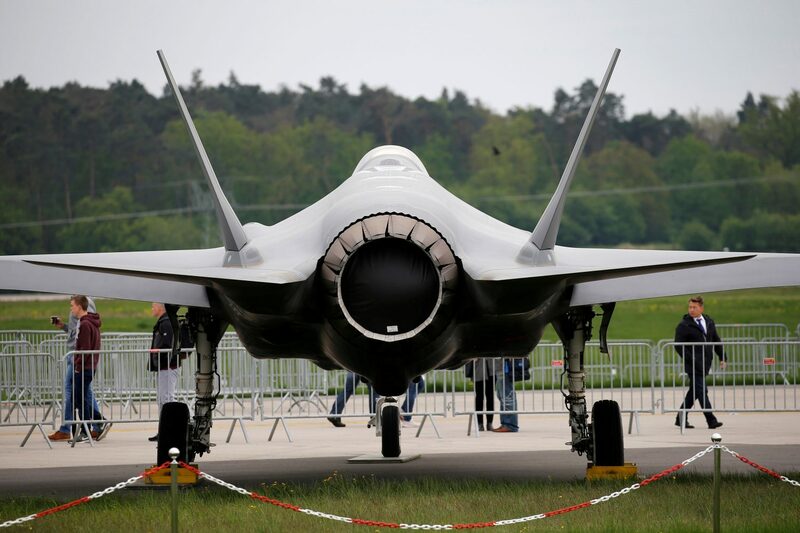 The United States says Turkey&rsquo;s purchase of the Russian air defense system would compromise the security of F-35 aircraft, which is built by Lockheed Martin Corp and uses stealth technology. ANKARA/ISTANBUL (Reuters) – Turkey has proposed to the United States that they form a working group to determine that Russian S-400 missile defense systems do not pose a threat to U.S. or NATO military equipment, Turkish Foreign Minister Mevlut Cavusoglu said on Wednesday. The United States and Turkey have been at loggerheads over Ankara’s decision to purchase the S-400s, which are not compatible with NATO systems, from Russia. Washington has warned that proceeding with the deal could result in U.S. sanctions and the exclusion of Turkey from the F-35 fighter jet program. “It will not be integrated into the NATO system…therefore we propose the United States to establish a technical working group to make sure that this system will not be a threat – neither to (U.S.) F-35s nor the NATO systems,” Cavusoglu told a panel in the United States. He said it was “not our aim” to integrate the S400 system into that of the North Atlantic Treaty Organization because “it’s for our own use.” Turkey and the administration of U.S. President Donald Trump need to explain to the U.S. Congress why Ankara had to go through with the purchase from the Russians, Cavusoglu said. Turkey says it needs the S-400s, to be delivered in July, to defend against potential security threats and President Tayyip Erdogan has repeatedly said he would not back down from the “done deal.” Cavusoglu, in Washington for a NATO summit, said he would “definitely” repeat this to U.S. counterparts during his visit. Seeking to apply pressure, the United States halted delivery of equipment related to the stealthy F-35 fighter aircraft to Turkey, its first concrete step to block delivery of the jets due to Ankara’s planned purchase of the S-400s. 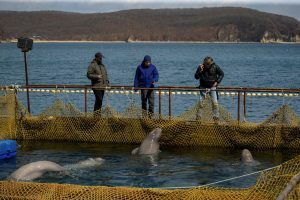 A U.S. official on Tuesday said that the purchase risked triggering sanctions. Acting U.S. Defense Secretary Patrick Shanahan later said that he expected the dispute to be resolved. In a broader move to stop the delivery of the fighter jets, four U.S. senators introduced a bipartisan bill last week to prohibit the transfer of F-35 aircraft until Washington can certify Turkey will not take the delivery of the S-400s. 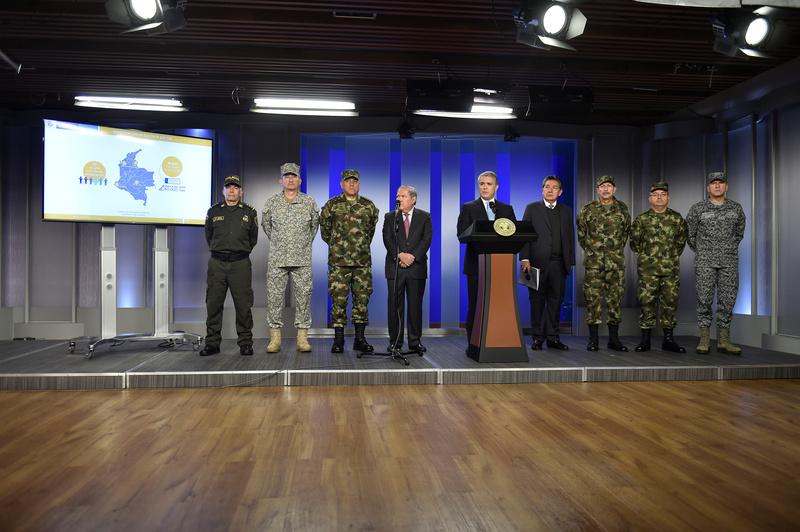 Russia, which has supplied fighter jets, tanks, and air defense systems to Venezuela, has dismissed U.S. criticism of its military cooperation with Caracas saying it is not interfering in the Latin American country’s internal affairs and poses no threat to regional stability. AMSTERDAM (Reuters) – The Dutch security service advised the government on Tuesday not to use technology from countries with active cyber-hacking campaigns against the Netherlands, such as China and Russia. 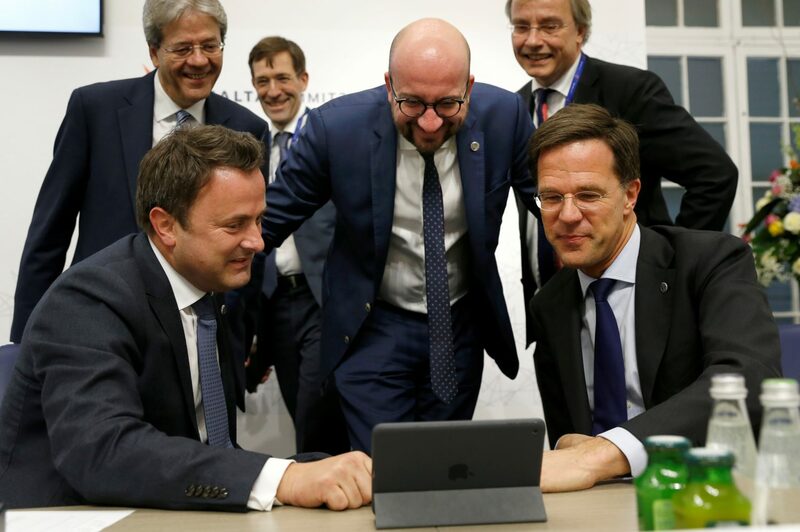 “It is undesirable for the Netherlands to exchange sensitive information or for vital processes to depend on the hardware or software of companies from countries running active cyber programs against Dutch interests,” the AIVD said in its annual report. Washington has said that Huawei is at the beck and call of the Chinese state, warning that its network equipment may contain “back doors” that could open them up to cyber espionage. Huawei says such concerns are unfounded. 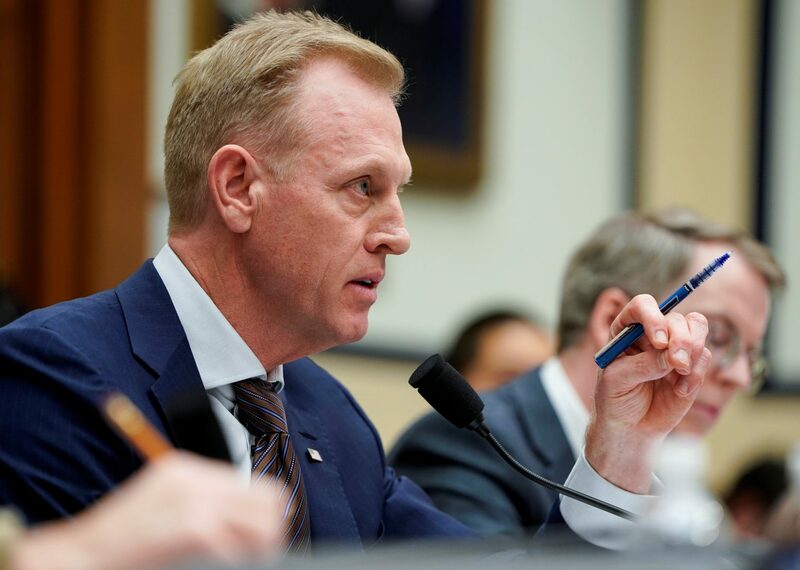 WASHINGTON (Reuters) – Acting Defense Secretary Patrick Shanahan said on Tuesday that he expected to solve a dispute with Turkey over its purchase of Russia’s S-400 air defense system, a day after the United States halted the delivery of equipment related to the F-35 aircraft to Ankara. “I expect we&rsquo;ll solve the problem so that they have the right defense equipment in terms of Patriots and F-35s,” Shanahan told reporters at the Pentagon. 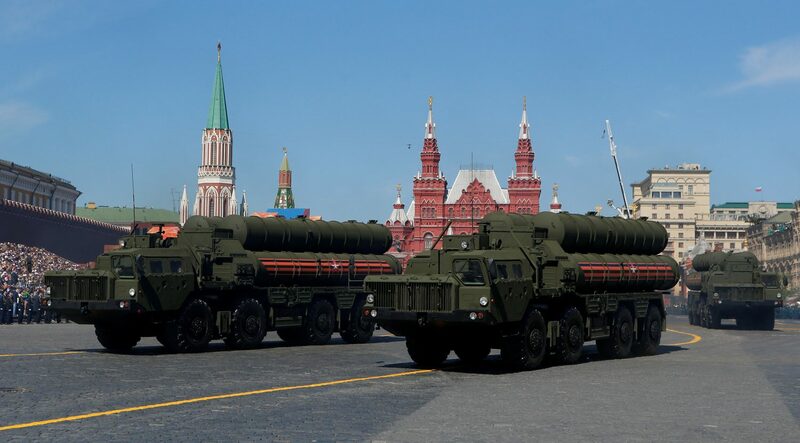 Washington has sought to persuade Turkey to purchase the Patriot defense system, instead of S-400s. WASHINGTON (Reuters) – The United States has halted delivery of equipment related to the stealthy F-35 fighter aircraft to Turkey, a Pentagon spokesman said on Monday, marking the first concrete U.S. step to block delivery of the jet to the NATO ally in light of Ankara’s planned purchase of a Russian missile defense system. Reuters reported last week that Washington was exploring whether it could remove Turkey from the production of the F-35. Turkey makes parts of the fuselage, landing gear and cockpit displays. Sources familiar with the F-35’s intricate worldwide production process and U.S. thinking on the issue last week said Turkey’s role can be replaced.